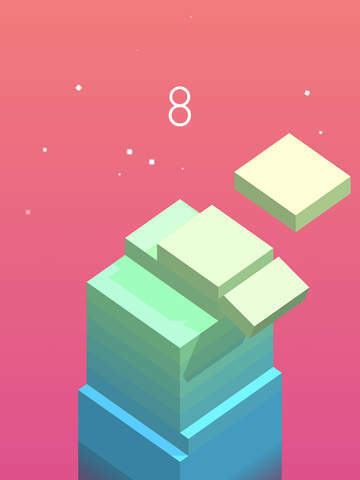 This week’s pick is Stack by Ketchapp Games. Some apps, especially intricate, multi-level games, can take a while to explain and/or comprehend. 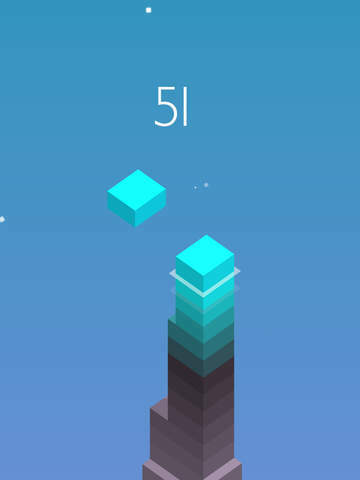 Not Stack–simply put, the object of the game is to stack up the blocks as high as you can, while enjoying the beautiful graphics. With you are trying to top the scores of players around the world, you can unlock new kinds of blocks and additional levels. As far as gameplay goes, the folks at Ketchup Games already have a reputation of creating simple, addictive fun games that you can play for just a few minutes, or hours a day, depending on your level of commitment. Stack starts with a large colored square that is sliding back and for the across an existing, stacked block. As it slides back and forth the object of the game is to tap the screen, and place it as close to exactly on top of the existing block. Extra sections of the block that are left hanging over will be “shaved” off and the next incoming block will match the shaved sized block. This process continues until your remaining piece gets so small that you will eventually fail to match the block, and the game ends. Sounds easy, and while the gameplay is easy, mastering it will take some time. 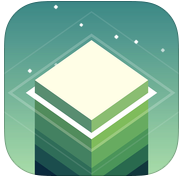 Here’s an App Store link for Stack. Compatible with iOS 6.0 or later, Stack for iOS is an universal app that works with iPhone, iPad and iPod Touch, and is a free download.